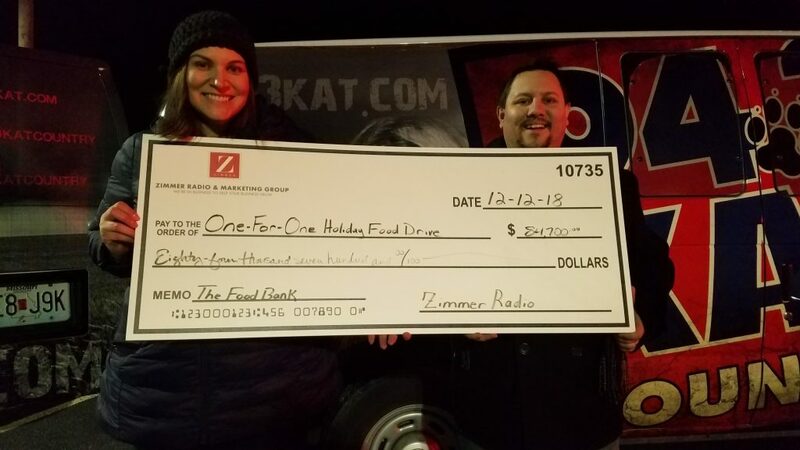 One-For-One Holiday Food Drive - 94.3 KAT Country! Thank you Mid-Missouri! The 94.3 KAT Country Commerce Bank One-For-One Holiday Food Drive was an unbelievable success. 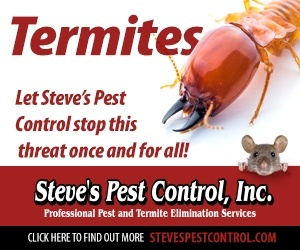 …for The Food Bank of Central and Northeast Missouri. We’re absolutely blown away by your generosity. From the bottom of our hearts, THANK YOU! Erin & Cory in the Morning holding our $84,700 check! 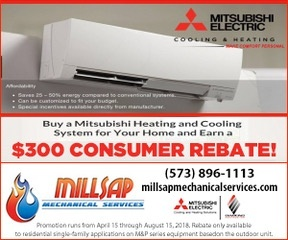 Did you miss your chance to donate? Thanks to The Crossing Church you can still donate online. Donate online right now by clicking the link below. Looking for a place to drop off your donation now? 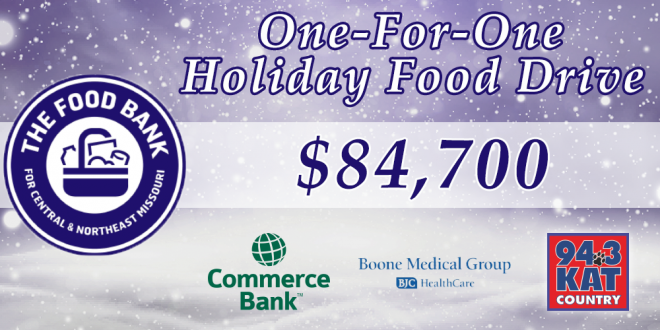 Boone Medical Group has numerous locations around Mid-Missouri where you can drop off your donation for the Food Bank of Central and Northeast Missouri. BIG THANKS to Commerce Bank, the Columbia Professional Firefighters, Inside Columbia Magazine, Boone Medical Group and The Crossing for helping out this year!